Mass. 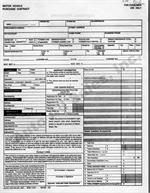 Purchase Order, 3 Part Form (White, Yellow, Pink) Dealership Name & Logos Can Be Imprinted. Call 203-878-1241 For Quote. Sold 100 Per Package. 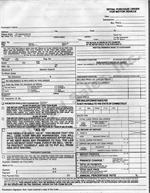 Massachusetts Motor Vehicle Cash Purchase Agreement. 3 Part (:White, Yellow, Pink) Packaged 100 Per Package, This Form Can be Customized To Include Your Name And Logos. Call 203-8781241 For Quote. 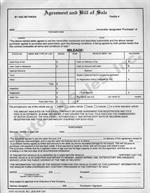 Agreement & Bill Of Sale, 2 Part Form For Use By New York Dealers In Selling A Motor Vehicle. 100 Per Package. Retail Purchase Orders/Cash Sales. 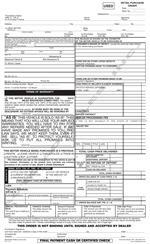 This Order Form May Be Used When A Vehicle Is Being Sold Without Dealer Financing. Printed In Blue Ink. 2 Part Form. Sold 100 Blank Forms Per Package. 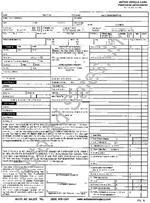 Retail Purchase Orders - For Use With New Or Used Cars. Printed In Blue Ink. Blank 3 Part. Form. This Order Form Meets State Of Connecticut Requirements. 100 Per Package. 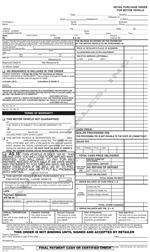 Retail Purchase Orders For Used Motor Vehicles. 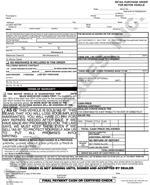 3 Part Form Printed In Blue Ink Sold 100 Per Package.